(Describer) Titles: Earthscope Chronicles. 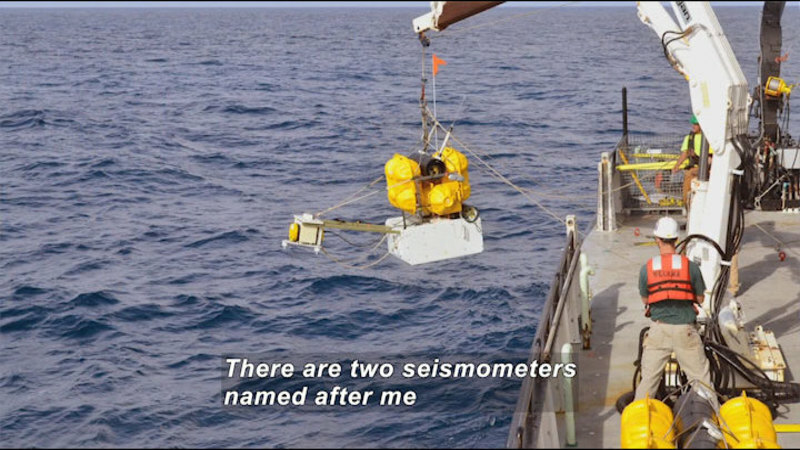 Meet a Geophysicist – Danielle Sumy. I grew up in Orlando, Florida. I spent a lot of time at the beach on the water. I also grew up with a family of pilots and was expected to be one. When I was ten years old, I went with my family to Universal Studios in Orlando, and I rode the Earthquake ride based on the Earthquake movie. (Describer) A home video is shot from the ride, which passes by a train station platform. (man on P.A.) Ladies and gentlemen, please remain in your seats. We're experiencing an earth tremor. (Describer) The camera turns to the other people on the ride, then toward turnstiles across the tracks. Part of the ceiling collapses and a semi-truck slides down into the area. It catches fire. The camera is jostled. (Describer) The truck has cracked a pillar. (Describer) Another part of the ceiling collapses and water gushes down just out of reach from the ride. It pours down stairs from above. 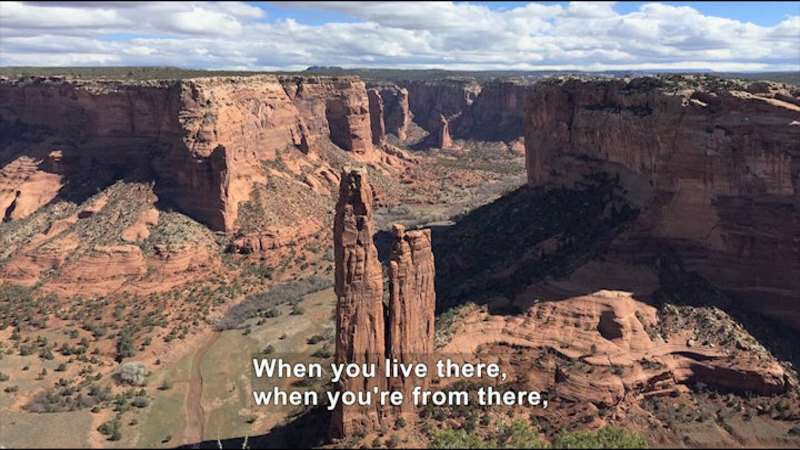 I was fascinated by the fact that the earth moved in that way, that we can experience shaking as well as other things from earthquakes, such as the fires that come after. There are different aspects of earthquakes. Florida's not a state known for their earthquakes. This is my first real experience with an earthquake, and I was hooked from the get-go on studying earthquakes in the future. In response to a fifth-grade class project on who is your role model, many of my classmates picked people like Michael Jordan or Larry Bird and other famous athletes and actors-- other celebrities in general. 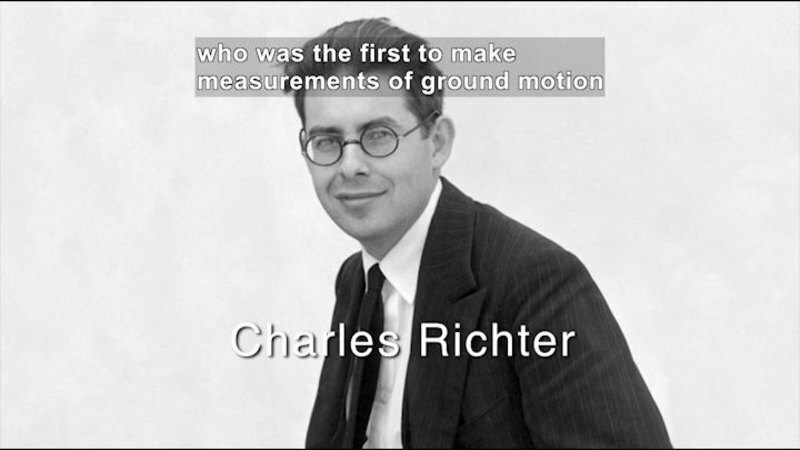 However, out of all of the people in the entire world, I picked Charles Richter, who was the first to make measurements of ground motion in a way to relate the intensity and magnitude of an earthquake to the general public. The magnitude scale that he developed was based off of information he had gathered in Southern California. (Describer) The scale is shown as a graph. And I spent the day dressed up in my fatigues that my father found for me in an army-navy store, because that's how I thought seismologists dressed. And I had a diorama of a seismogram and spent the day as Charles Richter. (Describer) In a photo, she smiles in front of a huge glacier. Funding to purchase and make this educational program accessible was provided by the U.S. Department of Education. Contact the Department of Education by telephone at 1-800-USA-LEARN, or online at www.ed.gov. When she was young, Danielle Sumy rode a roller coaster that simulated an earthquake. Her experience on the roller coaster launched her quest to understand how earthquakes happen. 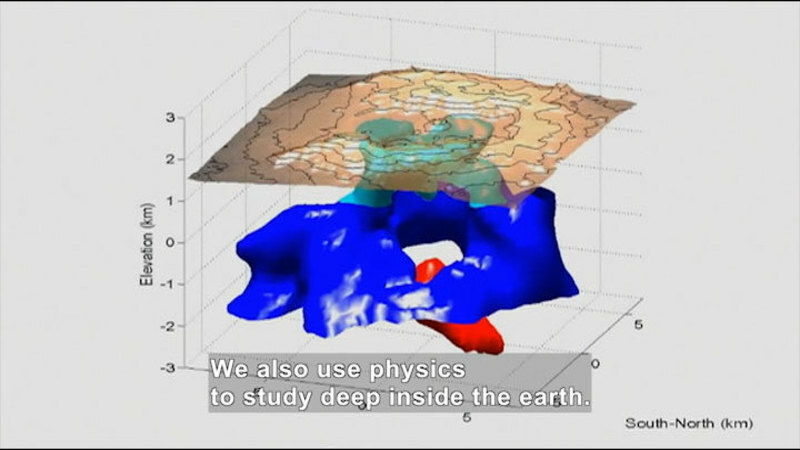 She describes how this encounter and her early love of science motivated her to become a geophysicist. Part of the “EarthScope Chronicles” series.